First. 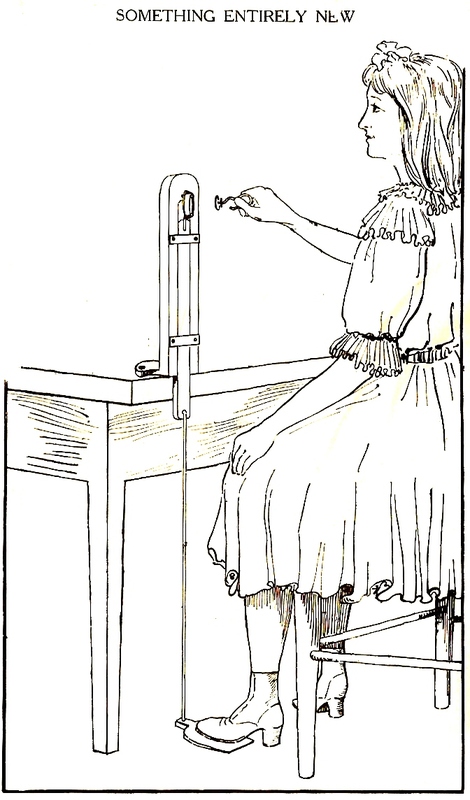 The Hutchinson Stopper is connected with a spring handle by a single wire, which makes the liability for collecting dirt very slight compared with those Stoppers having a jointed or hinged bail, or having two wires connected with the stopper or valve, which are very hard to clean when they get dirty. Second. The Spring in the Hutchinson Stopper is unlimited in its movement, consequently adjusts itself to all sizes of throats, and any little variation in the size of the throat of the bottle makes no difference in its working well. All other Stoppers imitating ours, that is, having a spring action to hold them open and closed, have a limited movement of the spring and are liable, through a slight wear of the wire or variation in the size of the neck of the bottle, to become loose, and are therefore useless as a perfect stopper. Third. 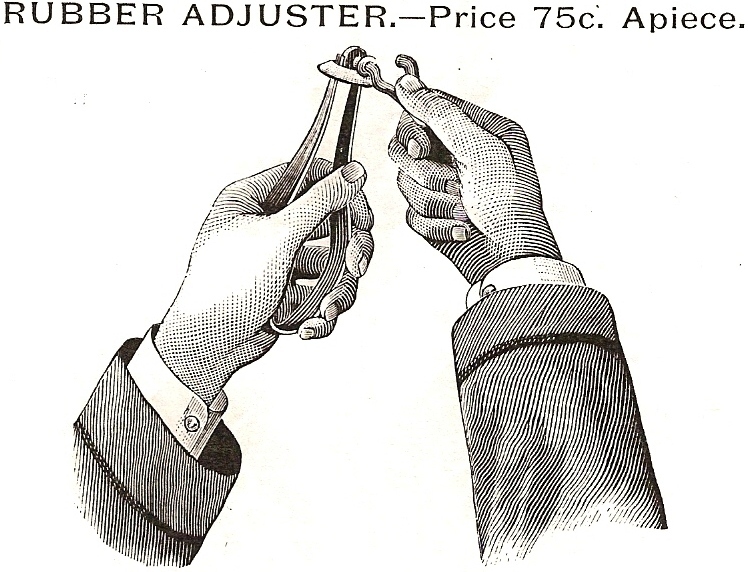 The Hutchinson Stopper is made very strong; the spring being of heavy tinned brass wire, which is not liable to break or get out of place from hard usage. Unlike the other stoppers made, which, in order to save time and money, are too light to stand hard usage, or the hinged or jointed stopper, which is easily broken or becomes unjointed inside of the bottle making them useless, and almost impossible to extract them from the bottle. Fourth. The Hutchinson Stopper can be easily extracted from the bottles, and if the rubber washer gets out of order a new one can be put on, and the Stopper will be good as ever. The rubber washer is the only part of the Stopper which ever wears out, and it can be easily replaced with new when desired, which is another distinguishing feature of Hutchinson's Patent Stopper. …put up on a split handle, adapted to straddle the stopper spring in the bottle, when the rubber comes in contact with the throat of the bottle, and by turning it around removes all the dirt. It is not necessary to use this all the time, but if necessary, it can be done very quickly. Save time and labor, which means money, by re-rubbering old Soda Stoppers. By J. C. O’Bannon, Chihuahua, Mexico. Bottlers who have complaints of the bad odor of their Soda will find that many times it is the cause of the rubber discs in the Hutchinson style stoppers. This can be done away with by letting the stoppers lay for four or five days in a solution of Burnt Sugar and after five days wash and rinse them and insert in bottles. This applies especially in a hot climate. TO MAKE RUBBER STOPPERS TASTELESS. Cover the stoppers with water, add a few ounces of lump sugar and let them soak for a few days, stirring once or twice daily with a stick. After this treatment wash them and they are ready for use. By E. Goltz & Son, Wadena, Minn. When rubber disc on spring stoppers get hard, soak half an hour in two parts Ammonia and one part water. By Commerce Bottling & Mfg. Co., Commerce, Texas. We find that when putting new rubbers on spring stoppers if the bottom of the stopper is scraped with a knife it will do away with a sediment in the goods, that very often you cannot tell the cause of. Shotting will not take this off, but you can scrape it off without injury to the stopper. By Louis G. Uehling, Hooper Bottling Works, Hooper, Neb. Save all our spring stoppers out of broken bottles, and those you pull out of bottles when rubbers are worn out and put on new rubber discs and you will find there is quite a little account saved each year. Any supply house will supply you with all the rubber discs you need at 35 cents to 50 cents per gross. Your stoppers thus repaired will be as good as new. TO CLEAN HUTCHINSON SODA STOPPERS. By C. N. Mead, Ballston Spa, N.Y.
Take a 5 gallon keg, cut a hole in the head or side, put in some fine sand and a little washing powder or Gold Dust, take the old rubbers off, then put the stoppers in the keg and give them a good rolling for a few minutes. You will find the stoppers bright and good as new. Then put new rubbers on. By John W. Radley, Snyder, Okla. In replacing rubber disc on Hutchinson stoppers, place disc in vessel containing hot water, let stand a few minutes before operation, and you will find the losses will be few or none. By H. A. Ralu, Colon, Republic of Panama.